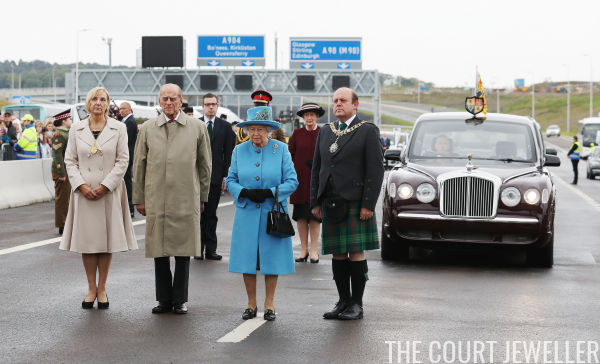 Queen Elizabeth II and the Duke of Edinburgh ventured off the Balmoral estate again on Monday for the official opening of the Queensferry Crossing, and HM brought some appropriately Scottish diamonds with her. The new bridge crosses the Firth of Forth near Edinburgh; it's the longest three-tower, cable-stayed bridge in the world. 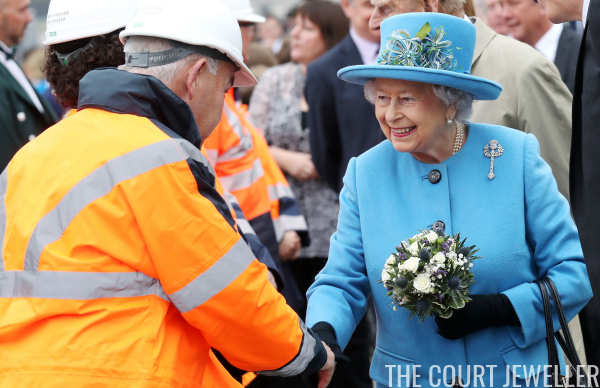 The Queen greeted dignitaries and locals as well as workers who helped complete the project during Monday's ceremonies. 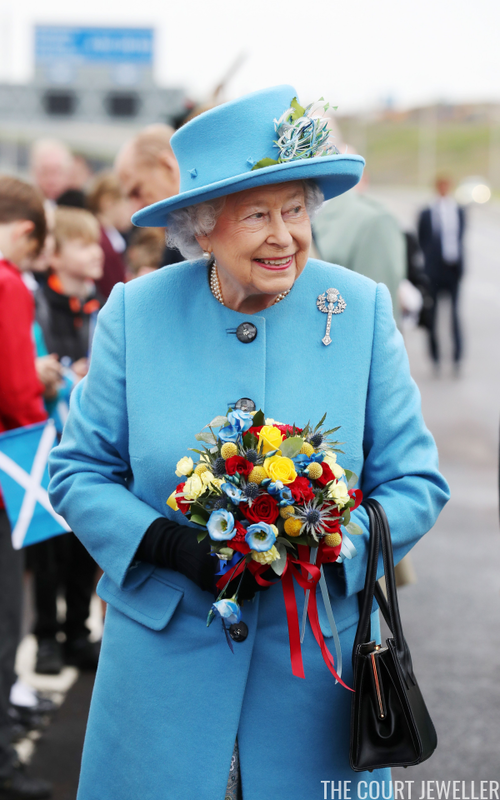 She wore a large diamond brooch with an appropriately Scottish theme. 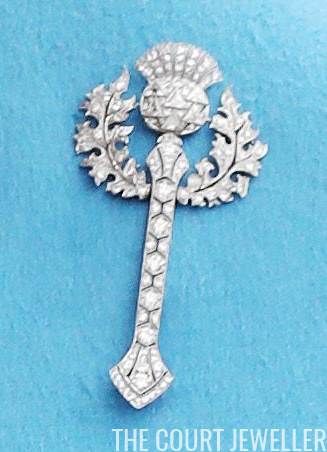 This diamond thistle brooch, which belonged to Queen Mary, hasn't been seen frequently in public. Here's a second close-up view. We most recently saw the Queen wear the brooch in a 2010 portrait taken at her official Scottish residence, the Palace of Holyroodhouse. 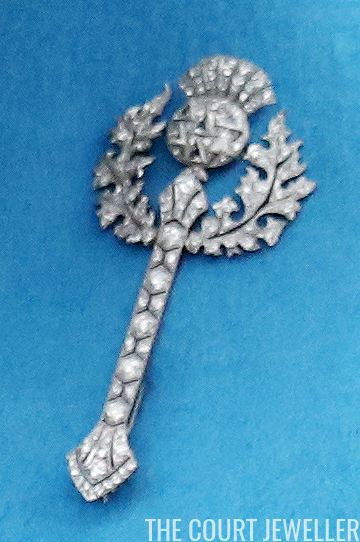 It's always a treat to see a little-worn brooch brought out of the vaults, especially one that matches the occasion so well!